What blood indicators indicate oncology? March 8, 2019 ikramsial 0 Comments indicate oncology, What blood indicators indicate oncology? If a person develops a malignant neoplasm in the body, then, naturally, certain parameters of his blood will differ from standard blood parameters of a healthy person. The main criterion by which doctors may suspect the presence of cancer is an increase in the number of leukocytes in the blood. The main thing in this case – what forms prevail. If young forms are observed, then, most likely, the person does have all the suspicions of oncology. In oncology of various organs, including leukemia, the number of leukocytes is off the scale and several times higher than normal. Conducting biochemical analysis and special studies will allow determining the number of leukocytes in the blood, as well as their change over time. At the same time, the level of hemoglobin decreases in the blood. It should be noted that a decrease in the level of hemoglobin may also be associated with other pathological changes in the human body, therefore, with such indicators, it is not worth it to panic ahead of time. In addition, a change in hemoglobin in the blood can be temporary and unrelated to any disease (for example, if there has been a change in the diet of a person). To determine the level of hemoglobin, you can use traditional research in a regular hospital. 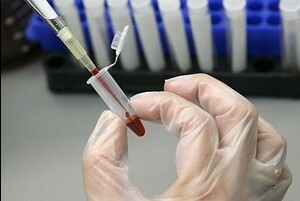 If you do not know what tests are performed to detect oncology, then it is best to ask the therapist. First of all, of course, blood biochemistry is carried out. Despite what indicators biochemistry has shown, the results will be 100% accurate, but it cannot be stated with certainty when conducting biochemistry alone that a person has cancer. 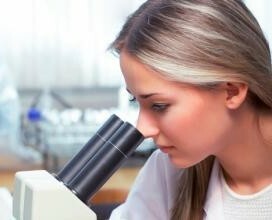 In any case, a comprehensive examination is needed, which includes not only traditional studies but also specific ones (for example, biopsy and puncture). It is worth noting that with the help of biochemical research, it is possible to accurately determine the level of antigens and proteins in the body. At the same time, each of us has its own normal level of these indicators, so experts always monitor the dynamics of change. In this regard, a biochemical study can be considered a prophylactic method of treating cancer, but not a way to detect a malignant tumor. To obtain more or less accurate results on the presence of oncological pathologies in your body using biochemistry, it is required to undergo it more than once. At the same time, after passing through biochemistry several times, a doctor can with a certain accuracy not only diagnose cancer but also determine the location of the tumor, its stage of development, size, and the possibility of treatment. The analysis of tumor markers allows you to determine with 100% probability which organ or tissue is susceptible to the development of cancer cells. At the same time, it is impossible not to say that any, even the most healthy person in the body, necessarily has certain tumor markers, which will not at all indicate that he has a cancer disease. Talking about oncology will be a quantitative change in these indicators, as well as a significant excess when compared with the standards. On the other hand, the definition of certain tumor markers in the human body after the analysis will allow you to quickly build the right treatment strategy, as well as more likely to get rid of the malignancy. 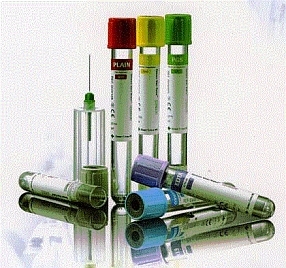 It is important to note that each cancer, depending on the type and location, has its own unique tumor marker. That is why this type of analysis is carried out pointwise, that is, only a certain antigen is exposed to examination by specialists. In this regard, it is necessary to say that studies on oncological markers are possible only if the doctor has a suspicion of the development of a particular type of disease. Research of this type can be carried out repeatedly to accurately identify the disease and its speedy correct treatment. Any cancer treatment can be carried out using a variety of methods. The choice of this or that method by specialists usually take into account the patient’s testimony, as well as depending on the type, type, location and stage of the neoplasm. Most often, if cancer only develops, then it is surgically removed. This radical method allows you to radically get rid of tumors. At the same time, no one can guarantee that the tumor will not start developing again in the future. For example, many people who have a tumor removed, after some time, the analysis shows the presence in the blood of all the same tumor markers, which indicates the development of a new tumor. Also, cancer is treated today with chemotherapy, which is extremely dangerous for the human body, however, it can significantly slow down the progression of the disease, and even eradicate some tumors. In addition, prolonged remission can be achieved with chemotherapy. To determine one or another treatment method, it is necessary to take a test for tumor markers, as well as a blood test and a tissue analysis of a painful organ.